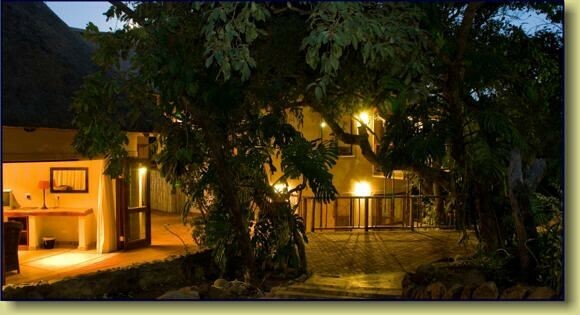 Luxury Game Lodge Style Accommodation in Hazyview - 4 Star Graded B&B and Self Catering - 10kms from Kruger National Park entering through Phabeni Gate - 40kms from God's Window, Blyde River Canyon, Sabie & Pilgrims Rest. 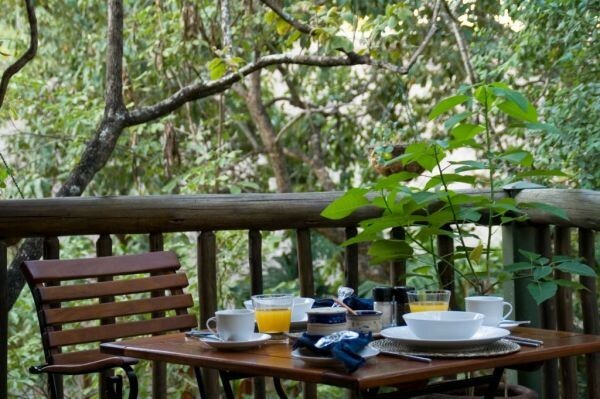 Blue Jay Lodge is nestled in a magnificent subtropical estate and only 10 minutes away from the game-rich southern section of the Kruger National Park. 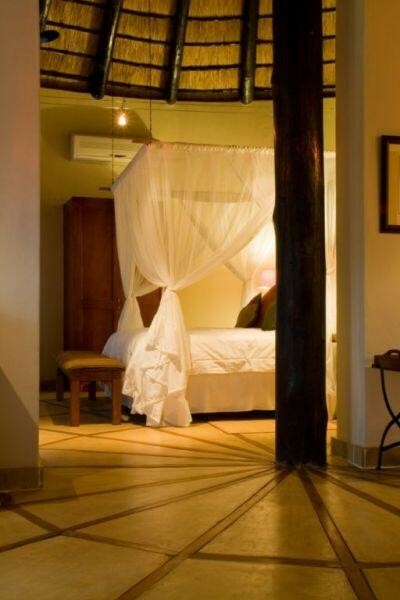 Affording the discerning traveler a tranquil haven away from home, walkways meander past the main lodge through the trees to reveal four exclusive suites as well as a self catering lodge under thatch offering a harmonious combination of local craftsmanship and the luxury of modern conveniences. Choose from the Luxury Paradise, Loerie, Shrike or Sunbird King Suites on a Bed and Breakfast basis or select the Self Catering Kingfisher Lodge with its master en-suite bedroom, kitchen and open plan lounge and dining room accommodating 2 guests. 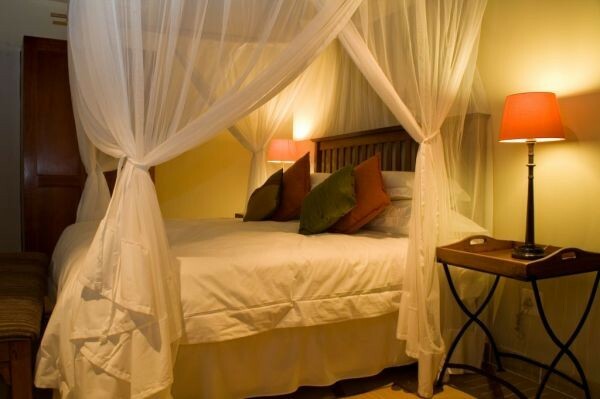 Alternatively, book the Kingfisher Lodge together with the Luxury King Suites as an entire self-catering facility accommodating up to 10 guests. 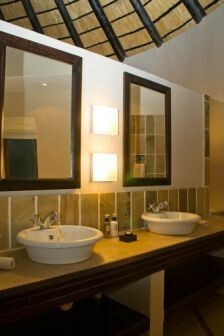 Our accommodation exudes refinement and supreme comforts such as fully-stocked mini-bars, beverage trays, DSTV, air-conditioning, overhead fans, bathrobes, hairdryers, private decks, fine linen, mosquito nets and king-size beds (or single beds if preferred). 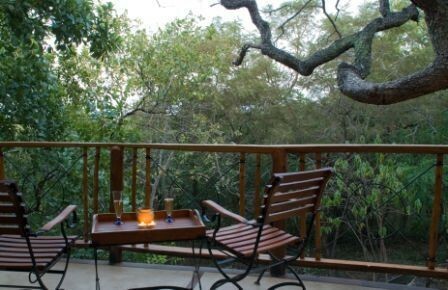 Relax on your own private verandah or cool off in the secluded rim-flow pool whilst sipping refreshing drinks and watching the birdlife amongst the trees. Your hosts Phil & Margi Nichols look forward to welcoming you and ensuring that your stay at Blue Jay Lodge will be truly memorable.